Whether you’re headed abroad or satiating your hunger 2 bus trips away, it’s essential to plan your trip well, considering the time, money, and tummy-capacity constraints you are faced with. Needless to say, a food escapade with your pals is a memorable way to bond whilst simultaneously expanding your cultural knowledge and culinary palate. While you’re working on your MasterChef judge abilities to articulately critique what you’re eating, get some practice done and round up your best buddies for a travel experience centered on something we Pinoys absolutely love – eating our hearts out. First things first, when is your barkada free and how much are they willing to spend for their cravings? This will define the theme of your trip and the places you can visit. 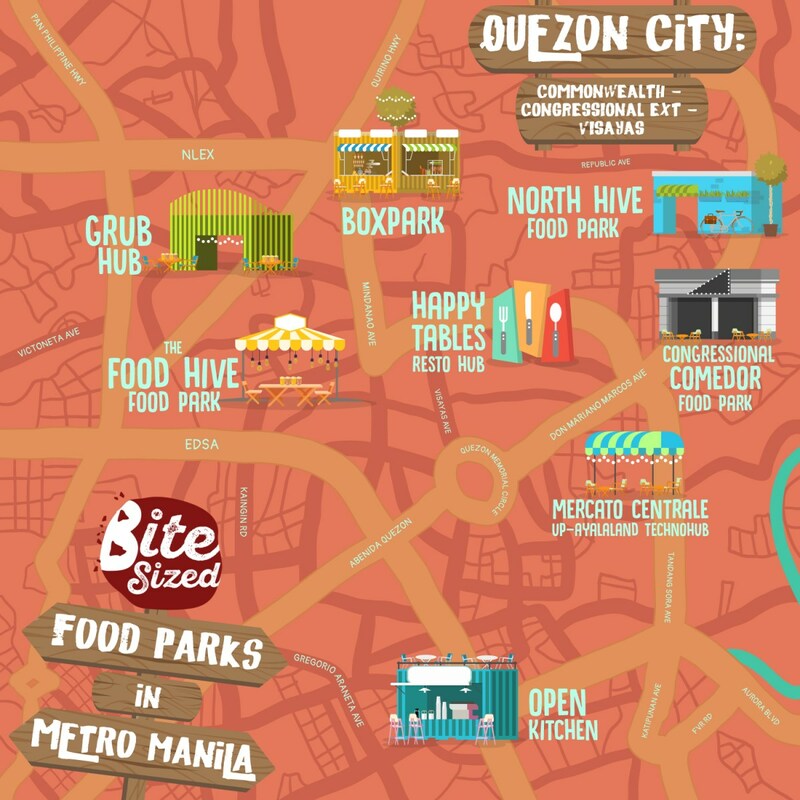 Considering the rapid multiplication of food parks around the metro, this will be pretty easy to organize if it’s a weekend hangout since there is already so much variety in each food park. If your foodie trip is to be held out of town or overseas though, a little bit more resourceful research will be necessary. Tighter budgets call for the best of the best in street food, but if you got more moolahs to spare, it’s worthwhile investing in some of the local’s beloved homegrown restaurants – which won’t be hard to spot anyway because of their long queues and busy reservations! One trick to avoiding last-minute cancellations between friends is simple – make them feel like a big part of this trip is for them. Why not head over to the best pizzeria in town for Johnny’s nostalgic college snack, and stop by a hipster ice cream parlor for Diana’s Instagram feed and sweet tooth? There’s got to be something for everyone to enjoy and be able to share their curated foodie knowledge on. Foodies are everywhere these days and we’ve all got our own opinions during our taste tests. While you might not agree with all online reviews, it’s worthwhile to check the popular and anonymous ones for less biased food reviews. Or better yet, ask your friend who posted about that cool new resto how they found the food. Best recommendations come straight from the source! Maybe it’s about time you explored the province of everyone in your barkada as a means to get to know and explore our country better! His/her family can give a hand on suggested restaurants and food markets – places you probably won’t even consider without first-hand advise on what to get, and how to get there. Otherwise, grab tips from a friend of a friend, or look out for a local tour! In this age of smartphones, it’s hard to think of a function that doesn’t have its own app. Naturally, foodies have an arsenal of apps to choose from when they can’t decide or need to know new places to eat at. Between breaks or during your commute, maximize the time and check out what’s new in these apps, or start reading up from your favourite local food blogs like BiteSized.ph! The best places to eat are bound to be jampacked on all days of the week – best to plan ahead and save a table to avoid wasting precious time during your foodie trip. Don’t skip the chance to ask if there are any promos, and if it’s an overseas trip, it can even make you aware of some things you might need to bring or keep in mind, considering cultural differences. To fully enjoy a food trip, it’s important to always have room for your next dish – and hence, it’s also an opportune time for sharing. Grab the big servings and split it four or five ways with your food trip buddies to save on money and tummy space, and your takaw-tingin eyes will love you for it. Food trips with multiple stops are ideally serviced by a carpool system or shared taxi expenses. If the food stops aren’t too far away though – it will be advantageous to your budget and diet to walk and burn some calories in preparation for the next food binge! Got more food trip tips? Share them in the comments below!